Stimulating and warming. Also known as West Indian Bay, this essential oil has been used in hair tonic preparations for over 100 years to treat dandruff, greasy scalp and hair loss due to its stimulating action on the circulatory system. This makes Bay Leaf essential oil useful in massage for every day aches and pains, plus it is also an effective antiseptic. 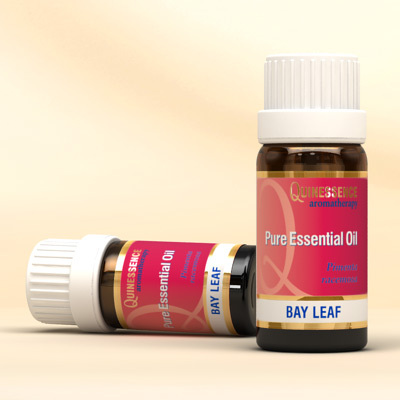 Bay leaf essential oil has a warm, sweet and spicy odour with similar notes to clove bud. When vaporised, its antiseptic and antibacterial action is helpful with a wide range of respiratory conditions.